When you think of videos, chances are you think of YouTube. According to the latest Nielsen’s VideoCensus, YouTube serviced over 6.6 billion video streams during the month of October. But what may be surprising is that Facebook is the number three video stream site behind YouTube and Hulu, with over 217 million streams in October. If you are using Facebook for your business, video is probably one of the easiest and most effective ways of communicating with your fans. Instead of typing out posts or thoughts, put it into a video. 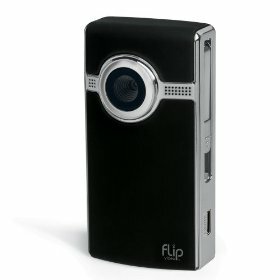 And if you’ve followed me for a while, you know one of my favorite tools is the Flip Video. You can shoot a video, pop it into your computer via the USB port, and have it on Facebook in less than 30 minutes. What can you use video for? 1. Record the production side of your business. Show how to fix something, what to watch for if you’re advising your followers to replace something, or simply give the benefits of using your product. 2. Video your clients, and have them provide a testimonial. 3. Record new products you find at industry tradeshows. Share with your clients up and coming items, and how new things will help them be more effective in their business or lifestyle. 4. Share your story. People love stories, and they do business with you because they like what you have to say. 5. Provide helpful tips. Yes, you should be blogging helpful tips already. But take the concept to the next level with video. It adds a whole different dimension to your business. 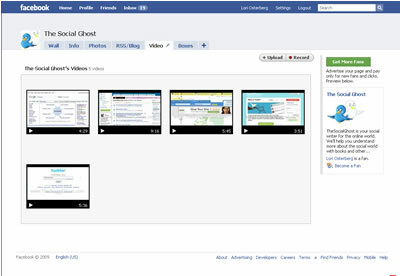 Once you have your video recorded, it’s easy to put it on your Facebook page. From your Facebook page, move to the video tab. Then find the upload button and click. Choose a file from your computer, and start the upload process. You can create a title, description, and even connect it with other profiles if there is more than one person in the video. When you upload a new video, it moves into your stream, allowing all of your fans access to your new content.